Conversion table between different Number Systems. Binary, Octal, Decimal, Hexadecimal and others (base 3, base 4, base 5, base 6, base 7, base 9, base 11, base 12, base 13, base 14, base 15). 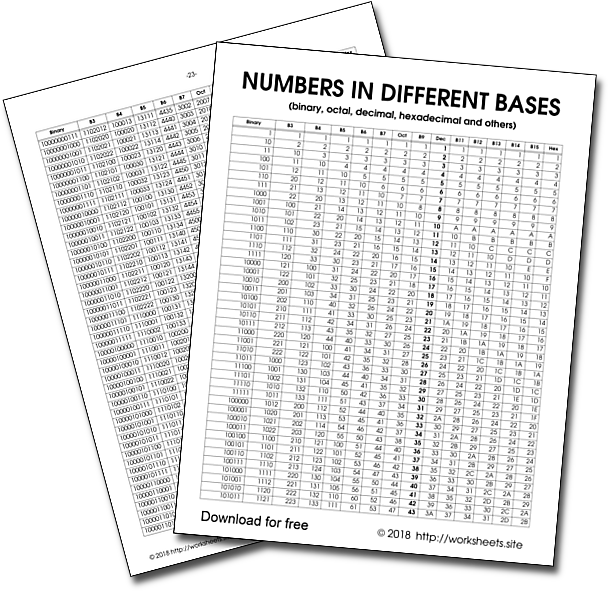 How to write numbers in non-standard bases. 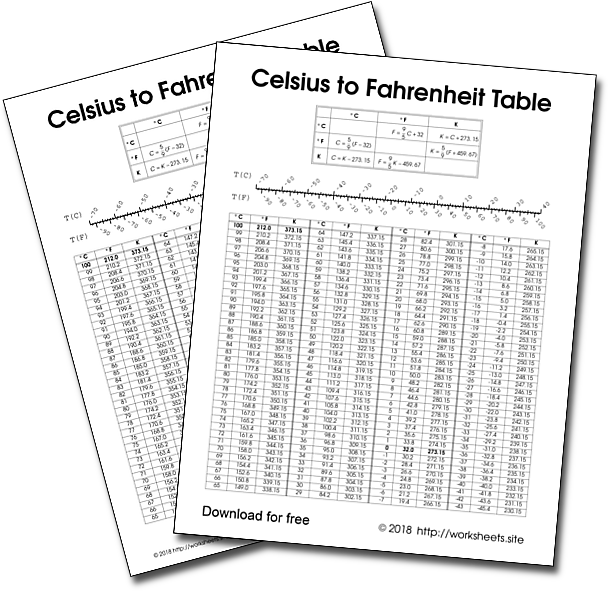 This table allows you to convert a number in base 10 (decimal) to other bases, you can find your number in the base 10 column and then match it with its equivalent in the other columns. In the same way, you can convert from binary to octal, from binary to hexadecimal, from hexadecimal to octal, and all other possible combinations between different number systems. The base conversion is done instantaneously. Binary is base 2, Octal is base 8, Decimal is base 10, Hexadecimal is base 16. The list can also be used to see the properties of numbers in different bases: how they change according to the positional system of each one, how the available digits are being rotated, how there could be more digits than the usual ones from 0 to 9 using the letters of the alphabet or other arbitrary symbols. The PDF file has 24 printable pages. 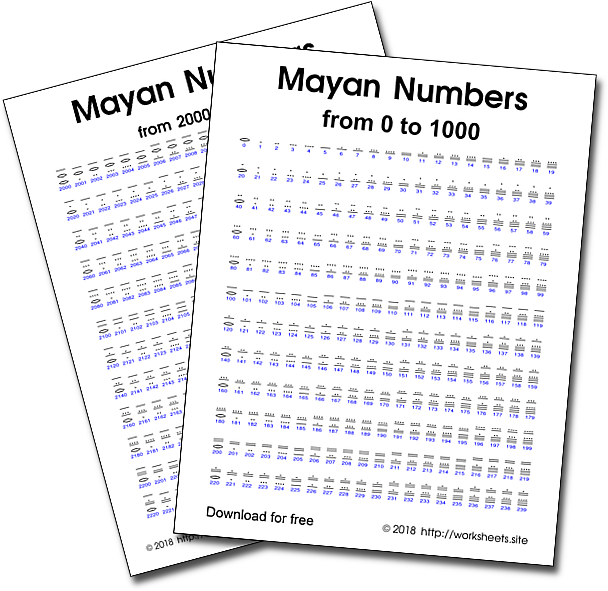 In total, the table contains all binary numbers up to 1000, octal numbers up to 1000, hexadecimal numbers up to 1000, etc. Use the password worksheets.site to open the PDF.